Vancouver, BC, February 27, 2019--(T-Net)--Cmd, the Vancouver-based creator of a security platform that provides control and visibility into production workloads in the Cloud and on-premise, today announced the completion of its Series-B $20 million CDN ($15 million USD) round of funding led by GV (formerly Google Ventures), with participation from Expa, Amplify Partners and additional strategic investors. This brings Cmd's total raise to $21.6 million USD (approximately $28.4 million CDN). Cmd also announced today the appointment of Karim Faris, general partner at GV, to its board of directors. The Series B funding will help Cmd grow its product and engineering teams as the company continues to develop new defensive capabilities for its core platform. Cmd was founded in early 2016 within Expa's startup studio by Jake King, former security operations lead at Hootsuite, and Milun Tesovic, partner at Expa, based on shared frustrations they'd both experienced when attempting to gain visibility and control over user activity within server environments. King and Tesovic had looked for security vendors capable of helping optimize security hygiene for enterprise teams in a frictionless way. Disappointed, they discovered most vendors on the market focused on threat detection and preventing sophisticated zero-day attacks. To them, this missed the root of the problem. Speaking to fellow security professionals, they weren't alone. Joined by the highly technical security engineers behind QNX technology, the Cmd founding team created a solution to address the everyday hygiene issues plaguing security teams. The Cmd platform helps security teams deal with the aftermath when their organization rushes to embrace elastic computing without a proper security plan in place. "Cmd's next-generation server security platform is designed to protect production environments, and tailored to the specific needs of large enterprises to granularly control, monitor, and authenticate user activity," said Karim Faris, general partner at GV. "Combined with the strong technical expertise of the Cmd founding team, the company's approach is highly differentiated and uniquely positioned to meet the growing demand for cloud-native security solutions." 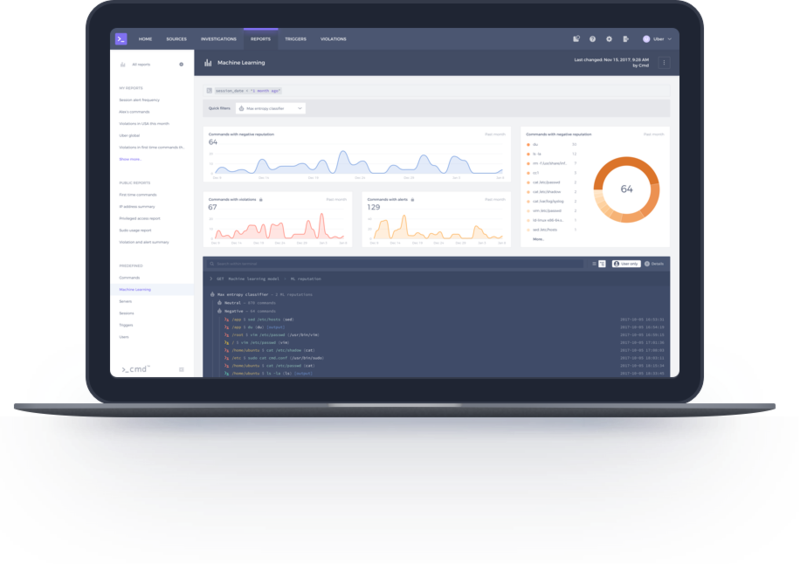 Cmd is the first to design their core product to help CIOs, CTOs, and security teams log, understand, predict, and control user behavior in their Linux environment. The Cmd team believes that organizations can't confidently predict and control user behavior until they define their baseline of "normal." Armed with this understanding, organizations can use Cmd to build policies that restrict file access, prompt for authentication or even block risky commands pre-execution. "There's an alarming disconnect between the most highly publicized threats and the ones that security practitioners—the ones on the front lines whose role is to protect the organization's most valuable data—believe pose the largest risk," said Jake King, co-founder and CEO of Cmd. "Defenders have to take on the mindset of the attackers, who are always looking for the easiest way to enter a network undetected. For most organizations, that threat lurks in their underdeveloped approach to securing their infrastructure. Today, that is usually their Linux systems. From rampant use of shared keys to unmanaged privileged access to a lack of insight into the activity happening on these servers, we've realized many organizations are flying blind when it comes to Linux security. We're giving them a flashlight." Cmd has won the trust of the security arms of major technology-first companies since it began taking on customers in spring 2018. Cmd empowers organizations—including Uber, Qubole and Zenefits—to gain an intimate understanding of how users interact with their Linux servers. 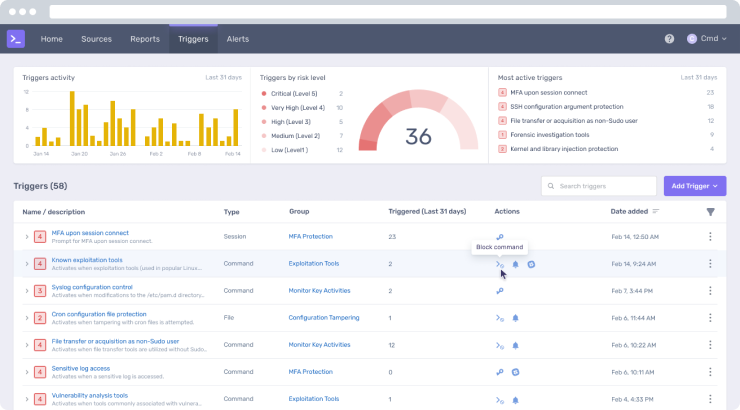 Armed with this baseline of normal behavior, Cmd enables customers to detect and proactively prevent threats, transforming security pipe dreams into tangible goals. Serving as Cmd advisors is a global roster of information security professionals including John Flynn, CISO of Uber and former director of security at Facebook; Freddy Dezeure, former head of the CERT-EU; and Irwan Tjan, CISO of Nordstrom, who each bring their strong enterprise and security domain knowledge to the Cmd team. "Cmd's vision of getting back to basics represents a paradigm shift in Linux security," said Irwan Tjan, CISO of Nordstrom. "The area is ripe for innovation and Cmd's more than up for the challenge. I'm thrilled to be supporting the Cmd team." Founded in early 2016, Cmd allows organizations to intuitively monitor and control user interaction within their Linux environment. The Cmd platform provides comprehensive visibility and real-time, pre-execution protection without the need for human intervention. Cmd is headquartered in Vancouver, Canada. Cmd allows organizations to proactively secure their Linux environment like never before.